Flowers are powerful. They are so lovingly used to celebrate, honour and memorialize the importance of many life events like weddings, anniversaries, birthdays, funerals or special occasions. It’s as if their petals become imbued with the memories created with our near and dear. Rather than tossing them into your compost when they’ve dried up and withered away, capture this memory for a lifetime with one of my commissioned works! I love to transform your flowers, by using their pigments, into art pieces that hold powerful, personal significance to you. Flowers hold our memories. When you can walk by a painting in your home every day and be reminded of special people and moments in your life, it brings your soul nourishment and uplifts your spirit. Let me help you cherish and celebrate your special memories using your flowers in a one of a kind painting that will last a lifetime. - We'll start things off with a chat so I can get to know more about you and your story behind commissioning a piece and about your flowers. Please have a look through my artwork so we can discuss what styles and sizes you like. Some clients have a general idea of what they like, such as "light and airy" or "bright and happy" and others prefer it to be a surprise. Both are great. 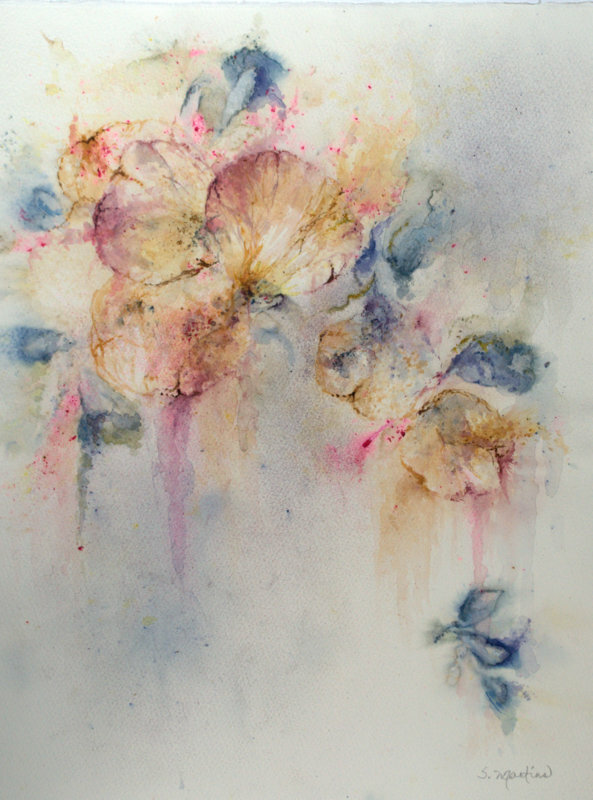 Your dried flowers will provide the colours and inspiration for your painting, but I can always add in additional colours to enhance the beauty of your flowers. My goal is to create the painting you'll love! - I will tell you how to pack up your special flowers and you'll send them to me. - Once I receive your flowers, I'll notify you that they've arrived and get to work! I'll keep you up to date with a few process photos of your painting. Some people do prefer for their painting to be a surprise. If this is you, I won't send any photos! - I'll send you your new commissioned piece! -All commissioned artwork requires a 40% down payment of the total cost upfront as a deposit. -Payments are processed through Paypal or Square.